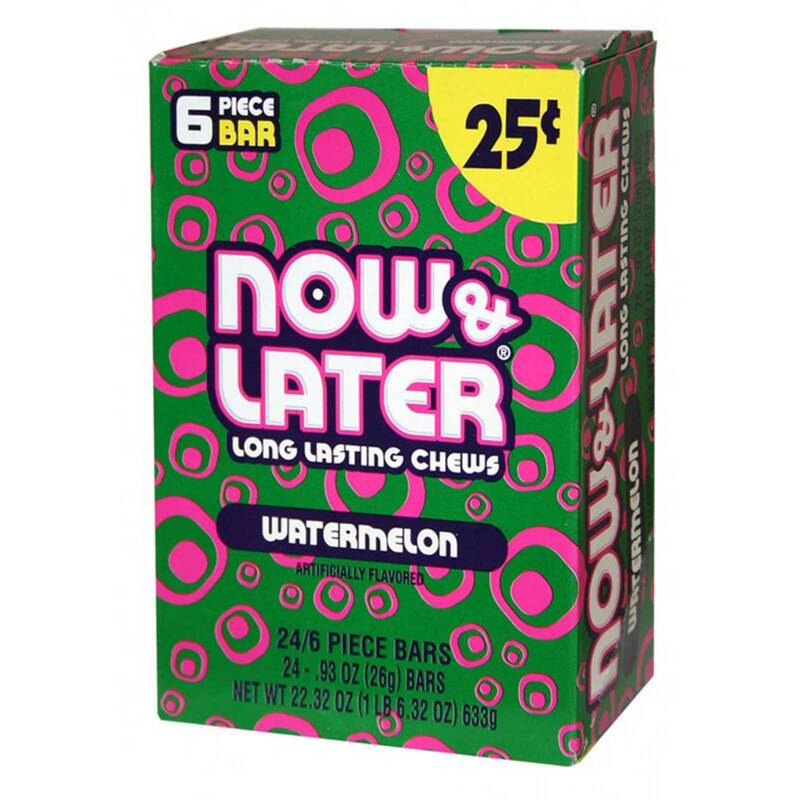 Now and Later is a great hard taffy. Order NOW & LATER 25C WATERMELON in bulk at wholesale price from Volt Candy Online. Good taste you try it out.